Cerise Hoods is a daughter of Little Red Riding Hood. Information about her is covered by darkness and mystery. It is said that she is friends with Big Bad Wolf and the Raven Queen! Nevertheless, the girl easily makes friends with other heroes of the forest. In this dressing up game you can choose a cool outfit in her style. This girl loves everything red and also wears capes and lush hairstyles. Played: 50175. Added: 17-05-2014, 15:06. 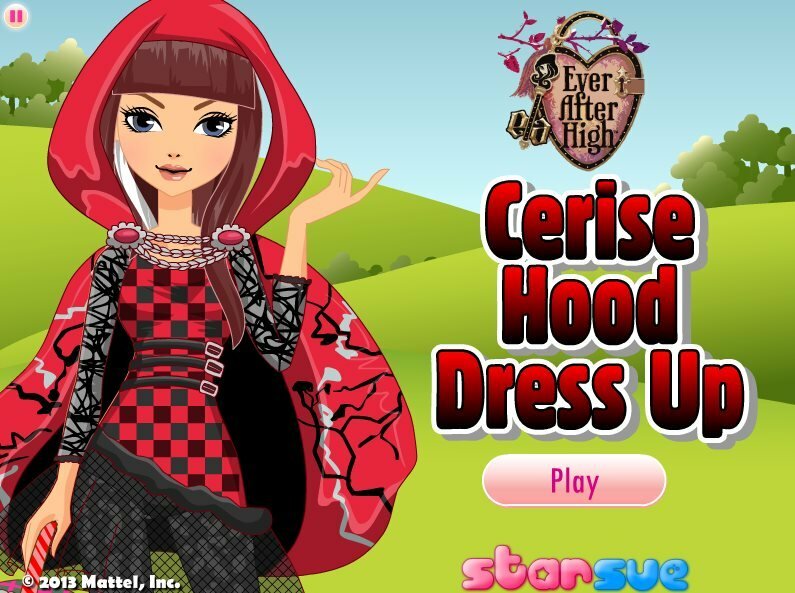 Cerise Hood Dress Up game.